After touring the city yesterday then partying back over it the opposite way last night, I was feeling like a chill-out day was in order. I didn't do a whole lot today. In honor of my self-proclaimed lazy day I went to McDonald's. Because what's lazier than that? I was impressed by their cool touch screen ordering system. It really came in handy when it was time to select the individual flavors of macaron that I was going to need in my macaron box. The last thing you need in this situation is some human's stupid judgey face judging you when you change your mind a couple times on how many vanillas to add. I went with one chocolate, one vanilla, and two speculoos. Speculae? Speculoos is a spiced cookie that is eaten in Belgium/Netherlands/Germany. The word speculoos sounds like something that might grow between one's toes but it's pretty good. 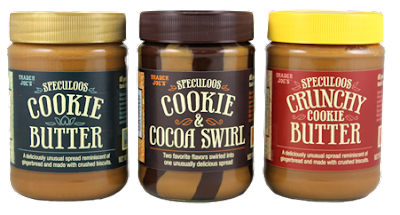 The only time I've ever encountered the word in the US is in Trader Joe's cookie butter. If you haven't tried this yet then you are likely living a life of shame and regret. Speaking of regret, back to my meal at McDonald's. The macarons weren't half bad. I want to say they cost a euro a piece. I successfully averted a single accomplishment today. Hurray!